All of them are available under Settings > General > Templates > Email Templates. In order for these to be triggered, please check the template corresponding to your notifications and make sure that the 'To' field is configured correctly - it should either contain an email address where the notification email should be sent; or a merge field that tells the system which email address to use specifically, depending on the notification. 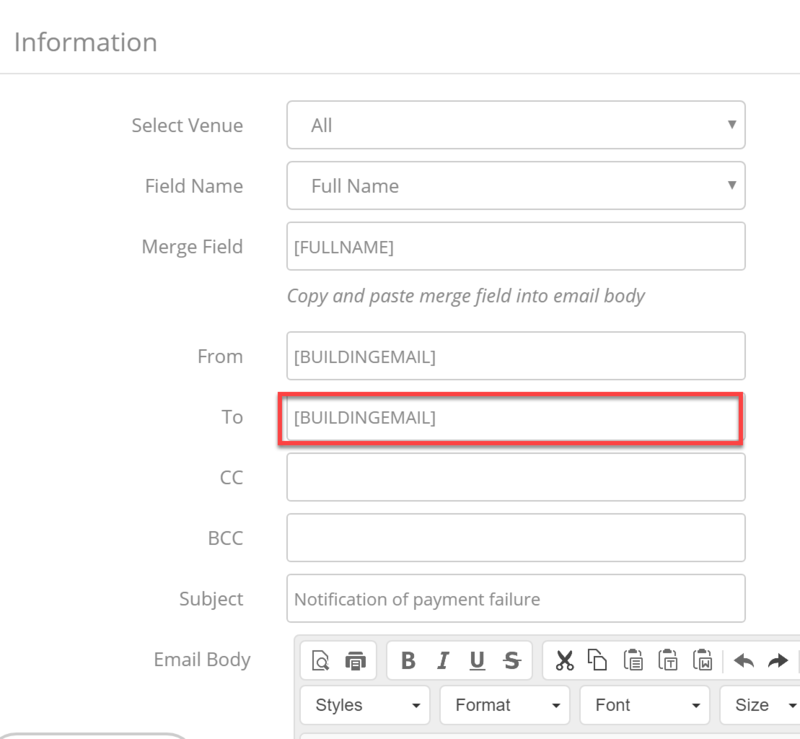 If you are using the 'BUILDINGEMAIL' merge field, for example, please go to Space > Locations and check that your Location emails are set up. If they are not, the merge field will not work and your notifications will not be received. Please note that Operate does not send any notifications on failed recurring payments. Your payment processor may do so insted; however this may differ, depending on your provider.